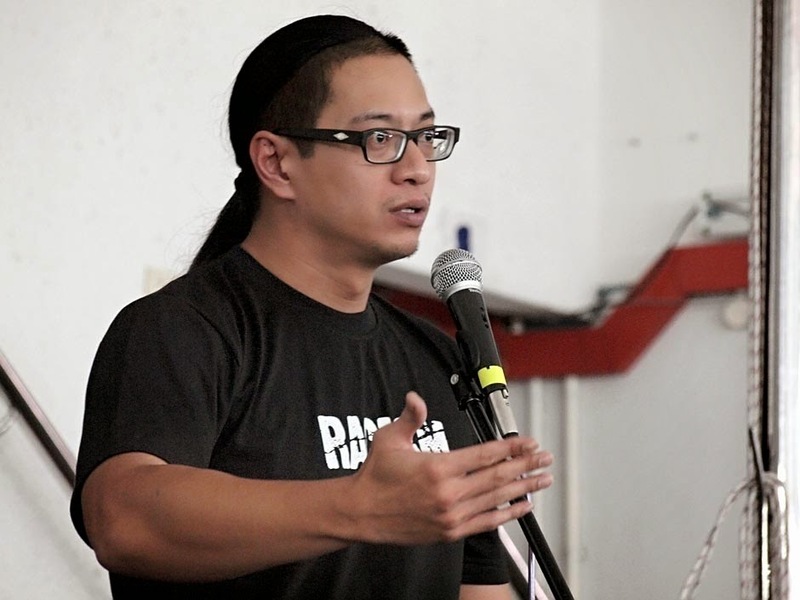 rocky's bru: Do we still need the Sedition Act 1948? The early history of Malaysian journalism is punctuated with the detention of journalists - real journalists - under the Internal Security Act. Arwah Pak Samad Ismail, for example, was accused of being a Communist by the same government that had sought his wisdom when Tun Abdul Razak was Prime Minister. As soon as Razak was gone, they took Pak Samad from his home in front of his wife and children and incarcerated him for 5 years. 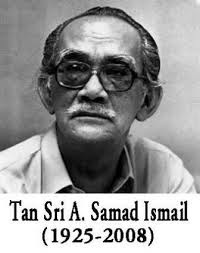 Pak Samad was released only after Dr Mahathir Mohamad replaced Hussein Onn as PM. No journalist was detained under the ISA during Dr M's tenure as Prime Minister, proof that you can have the ISA and use it judiciously. 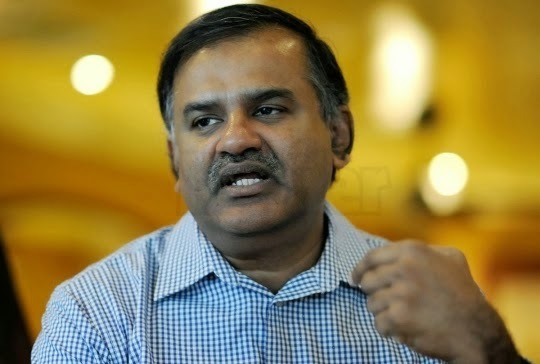 Under Abdullah Ahmad Badawi, however, the Home Minister from Johor committed the dumbest act by any Home Minister with the detention of a junior reporter for 24 hours under the ISA "for her own safety". Proof that the ISA, in the hands of some people, can be dangerous instead of beneficial to public health and peace, which was what the ISA was meant for. In the same vein, the perception of the Sedition Act today. The arrests of Malaysiakini journalist Susan Loone and pony-tailed Azmi Sharom, the lecturer with a column in the Star, must be viewed as acts aimed at deliberately undermining the position of the Sedition Act, which has helepd kept at bay the racists and the anarchists in some of us and maintained the peace that we enjoy. What could Ms Loone and Encik Azmi possibly have done to shake our foundations as a society? Apart from minor intellectural irritation, very little, I'd say. But what have their arrests achieved? Renewed hatred and greater suspicion towards the Sedition Act. And rightly so! Their arrests have convinced many people that the Act is draconian and serves the purpose of those in power. 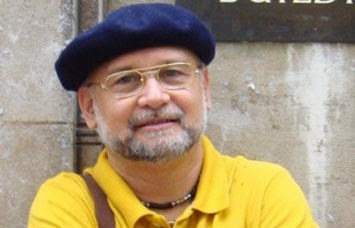 To propose DNA for Azmi & Loone? So I am happy to hear (and read, h e r e) that the Attorney-General is reviewing those two cases with a view of amending the charges against the lecturer with a column and the journalist whom we bloggers used to call "loony". Tan Sri Gani Patail had gone this way before: he'd DNA-ed (discharged not amounting to acquittal) Raja Petra Kamaruddin and Syed Akbar Ali after charging them with sedition during the Pak Lah era. Now those two, you'd agree with me, were rocking a lot of boats when they were fab - and they still are at the top of their games, if you want to compare them with Azmi-Loone. But the AG, as the guardian of the Sedition Act, must act fast. The longer he waits, the more maligned the Act. Most of us believe that criticisms against the Government must not be stopped; in fact, they should be encouraged. But people must also know the limits of freedom and the responsibility that comes with it. They cannot say or write whatever they bloody like. Like the ex-IGP Tan Sri Musa Hassan says in The Mole's Mala fide against the Sedition Act?, "If the Act is no longer here, people can do or say whatever they want under the sun". re, People must also know the limits of freedom and the responsibility that come with it. They cannot say or write whatever they bloody like. I agreed to that especially on something that touch the sensitivity of race and religion . If everybody abide by that rule ,I am sure, what ever Act, wont be a treat to anybody . The truth is not at all critical . Citing the Perak case, law lecturer Assoc Prof Dr Azmi Sharom cautioned against such action outside the state assembly, and insisted the lawmakers wait until next sitting to indicate their lack of confidence. “You don’t want a repeat of that, where a secret meeting took place,” the University of Malaya lecturer said, referring to the Perak crisis. “A vote by the house of representative should be done in the house of representative,” said Azmi. As for Susan Loone, she apparently was only doing her job as a reporter and reporting on what Penang state executive councillor Phee Boon Poh said with regards his interrogation over the Penang Volunteer (PPS) participation in the Malaysia Day parade. The journalist and news portal are being investigated under Section 4(1)(C) of the Sedition Act over the article, “Disoalsiasat selama 4 jam, dakwa dilayan seperti penjenayah (Interrogated for four hours, treated like a criminal)”, in which she quoted state executive councillor Phee Boon Poh in recounting the latter’s earlier arrest in connection with the PPS. The country needs the seditious acts for as long as Malaysia remain a multi-racial and multi-religious country and especially for as long as the country has this extreme chauvinistic and racist chinese and the party that represent them. Selepas ISA, kalau akta hasutan dimansuhkan, makin bertambah tumpul la taring polis. Nanti nak kunyah pun susah pasal tak lut. I think most Malaysians agree with Anon 2.49pm. Infact I would say the ISA should have also been retsined. We are not here for a popularity contest. A section of the Malaysian public spews out hatred & contempt towards the majority races. They won't get our blessings & get away with it. These contemptuous people come in the form of politicians, reporters/journos, academicians, bloggers. With freedom comes responsibility and respect. Even the western countries that these people worship have some draconian laws in place. But in Malaysia we have to bend backwards to accomodate these peoples wishes & fancies.